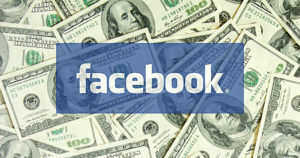 Home » Social Media Opinion » Do Businesses Still Need Facebook? Do Businesses Still Need Facebook? Those who have been managing a Facebook page for an organization have seen their efforts become less and less fruitful over the last few years, as the social media outlet makes it painfully clear that unless you pay, you won’t get much from them. For years, Facebook was a gravy train for businesses and other organizations. Millions and millions (now billions) of people were on there, just looking for content. When they “liked” a page, they would regularly see the content that page posted. Slowly but surely, however, those days ended. It started when Facebook went public. They wouldn’t admit it, but they needed to make more money, and allowing businesses to freely promote themselves without paying wasn’t going to cut it anymore. So, over time, they made it so that people who liked business pages saw fewer and fewer of the posts from those pages showing up in their feed. It’s now to the point where without paying, only a tenth of a percent of a page’s fans are likely to see a post. So … is it time for businesses to give up on Facebook? I don’t think so. But, they have to change the way they think. It’s time to start thinking about Facebook as an international media outlet, where the cost of entry via advertising is relatively cheap. You still have to create well-crafted and interesting content, but that’s only half of the equation now. You have to pay for eyeballs too. Fortunately, you can see a big difference in reach by paying as little as five dollars. This also means that social media managers, many of whom started out life as PR professionals, need to learn more about advertising, or hire someone who does.